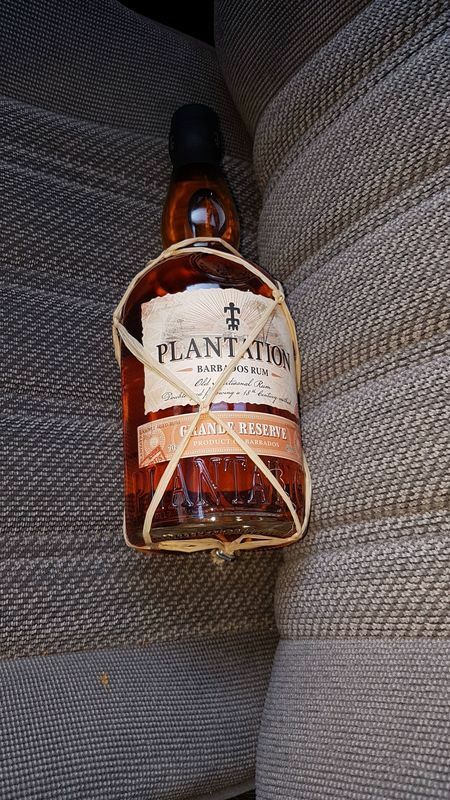 Have you found an online vendor selling Plantation Barbados Grande Reserve? Well, this rum is nothing superior. But also, it doesn't make itself something, it isn't. And yet, it becomes great rum. And great friend. It have very very smooth taste with little sweetness, very simple but understanding palate of taste, rather light and fruity and very pleasant spring smell. And that makes it excellent relaxing sipper. Kick-less, friendly, familiar, soothing. At room temperature diluted with small drip of water, it could accompany you for hours, leaving you relaxed. My favourite blend but soothing sipper. As sipper for common relaxing occasions - excellent. As complex rum for tasting and deep enjoying - hardly no. AS mixer - any drink kill it's perks, especially Cola. So no. take a word from my review and turn another cheek for this friendly fellow. The title says it all. Hard to believe that you can buy a ‘good’ sipping rum for under $30 (Canadian). Very smooth on it’s own with just a hint of alcohol astringency. At the price there’s no shame in mixing it either if that’s your thing. I really just started to explore rum so not a lot to compare but this is one you should get at least once! Good taste, nice price and just a good drink overall! After an escapade with the fantastic El Dorado line, I was doubtful there were rums that could match them (El Dorado) in cost-to-quality. However, I decided to give this Plantation a go because I heard great things about its more expensive counterparts, and am happy that I did! As far as the taste goes, it's pleasantly light and extremely approachable--much like what Japanese whiskey is to its respective genre. I catch mild hints of lemon, cinnamon and tropical fruits on both the nose and palate. It's very smooth going down. Flavor does dissipate instantly once swallowed, which I find interesting. Overall, Plantation Grande Reserve is better than the El Dorado 5-Year, and about on par with the 8-Year as the best rum in its price bracket. Great sipper, great mixer, and should appeal to both the experienced and inexperienced rum drinker. This rum changed me from being a single malt whiskey drinker to a rum sipper. I got my eyes on it in the local liqueurstore and I thought to myself why not try something new and not spend a fortune on a single malt whiskey bottle. For the price it cost i thought if it taste like crap i could use it for cleaning the wounds on my neighbours dog after being attacked by wild cats and dont feel bad about it. After this plantation rum i dont feel the need for expensive whiskey anymore when you can get this so much cheaper. It smells like raisins and banana with an inviting note. The taste is great, sweet and tones of vanilla, raisins and banana. A bit young in taste, 3 years altogether on casks give it a more sharpness to the taste instead of roundness. Although i cannot give more then a 6 because of me being a rookie in the rum world. I need to try more rums first to compare it with, can't give a ten on my first rum. Then i can maybe bring up the score on it. Great rum for the prize. Smooth, tasty exotic fruits (mostly citruses). Light vanilla ending. Overwelming sweetness in the nose, a bit too much actually, which runs right into the taste and finish. All in all a good sweeter rum especially for the price. Personally I like some more character in a rum, but that would be a bit too much to ask from an only 5 year old rum, I guess. I like this rum, it is easy on the pallet and not to rough. Works both as sipping and as mixed. This is a rum you can have a little sip of everyday and not get to bored. If you are looking to get amazed and have you socks blown off, this is not it. For that you need to step it up a bit. This is A perfect introduction to the world of rum. This is an easy to like rum and it wants you to start to explore. Pri tomto rume som mal vacsie ocakavania a ostal som trosku sklamany. Prekaza mi i prerazajuca chut alkoholu. Hodi sa mi viac do drinkov ako na samotne pitie. The smell is more alcoholic, but it is still very good rum. The taste is intense, warm and very specific, perhaps due to aging in bourbon barrels and then in Pierre Ferrand cognac barrels. I do not even know what I would compare it to. 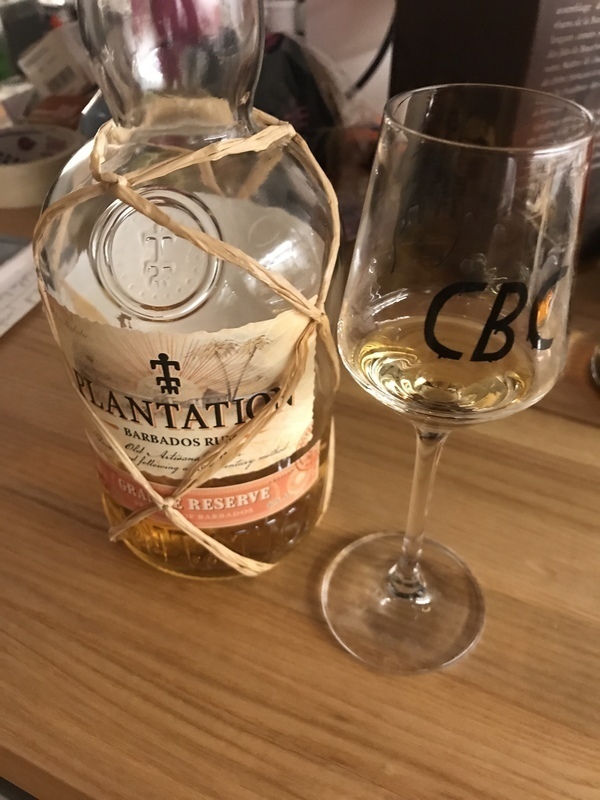 In this price range with the Plantation Barbados Grande Reserve, you certainly will not make a mistake, although I do not seem to be among my favorites. Vcelku kvalitný produkt. Neviem sa zbaviť pocitu anízu v ňom. Very sweet artificial head. First touch is sweet, vanilla, some coco? Goes down easily and not much burn. But does not offer very much excitement. It’s sippable...but it definitely does not work with coke - too sweet. Havent tried it in coctails yet...and probably won’t, because it’s a dull bottle overall. A regular white agricole offers much more excitement and power. Torn between 5 and 6. Actually very good after few sips, just go for some more. Nice, though. Notes of tropical fruits, vanilla and coconut. Sweet taste, with notes of butterscotch, banana and vanilla! I found it not that good for sipping, but it works great in drinks! I’m not a fan of Plantation, think it’s a little bit dull. But this one is definitely pricewhorty with it’s quite alright taste and flavour. Another rum that I find myself keeping stock of in my bar because of it's beautiful but sweet rum notes an it's.ability to blend well with pretty much any juice. Nice rum. Good for the price. Very smooth and easy to enjoy. I like this one. Very well balanced rum. On the nose, molasses or burnt sugar, with coconut, vanilla and warming spices in the background.The palate follows with a little sweetness and wood with a nice, smooth finish. Great sipper and bar stocker for cocktails. For around $20 it’s hard to find a better value. I bought a 1l bottle of this rum and when i first taste it was like... strange i kinda expected more. But now (1 year later) bottle is half empty and dont ask me how is this possible but it tastes great. This is a quality product. Very smooth, sweet, but not overly so, wonderful flavours, and for me it has a short lived spicy aftertaste like pepper or chilli, as opposed to alcohol burn. Just a joy to sip on this neat. I am guessing the smoothness comes from the 2nd aging in Cognac barrels in France. A wonderful Rum at a reasonable price.